Paul & Melanie Dill are the owners of Southern Fireplaces Ethelsville and have been self-employed for over 30 years in electronics and manufacturing. They became interested in Direct Vent over 15 years ago looking to find a safer and cleaner alternative to the vent-free fireplaces. They can offer the best options on high quality, fully functional fireplaces that customers will enjoy for many years to come. Whether it be new construction, insert application, or just wanting to create a fireplace, they can help with all types of styles and options. Give them a call with all of your fireplace needs and allow them to help you choose the best quality & heating fireplace for your home. 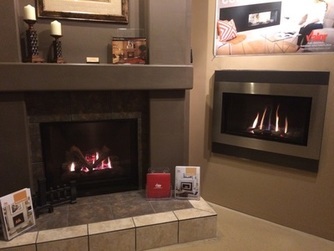 Besides specializing in high quality direct vent and vented gas fireplaces, Southern Fireplaces Ethelsville also carries a complete line of wood burning stoves and inserts. Fireplace Sales & Service serving all of West Alabama including the Tuscaloosa area and East Mississippi including Columbus, Starkville, West Point, and Louisville.